Coldstream has an enviable list of local organisations, all of which help keep the town running. From Civic week, arguably the best week-long festival in the Borders, to Coldstream in Bloom and the Christmas lights display to name a few, they just would not take place without the army of locals who give up their spare time to make Coldstream ‘second to none’. Your community council is the most local tier of statutory representation. Owns, maintains and runs activities in the Community Centre, and has a development committee that initiates projects within the community to try to improve all aspects of the environment and heritage. We also run the Hudson Hirsel Fund for Hudson Hirsel LLP. Grants are awarded twice yearly to local voluntary bodies, in May and November. A valuable and informative quarterly community newsletter with specific organisation news and dates for the diary produced by the Coldstream Gateway Association, and edited by John Fulton. The newsletters are generally hand-delivered to letterboxes by a group of volunteers but the Gateway Association is hoping to expand its electronic versions. News can be submitted to him at any time, via e-mail or through his letterbox at 28 High Street. The Gateway Association is very important in keeping the town in an attractive fashion, whether it is the impressive Christmas Lights on the High Street, installing beautiful flowers in the town during the summer and attracting regional floral awards. The Association also produces the quarterly Coldstream Community News through John Fulton. The ‘Presenting Coldstream’ is vital in organising Coldstream’s civic week which is the last-in-the-year border festival. Coldstream Pipe Band has existed since the 1950s and encourages youth to join its ranks for initial training and then official duties. The band practices most Monday nights at 7pm in the Primary School Hall. Currently the band has an excellent blend of experience and youth. 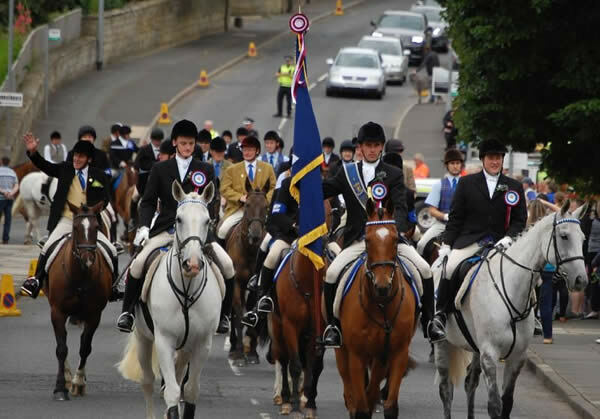 The band leads the horse cavalcade on the Thursday of civic week and carries out several official duties, not only in Coldstream, during the year. The Riders’ Association is a group of very well organised horse people who organise the horse cavalcades in Coldstream civic week and the enjoyable equestrian events in that week. The Ex-Coldstreamers Association is a group of men who in previous years have been the ‘Coldstreamer’, the main young man in Coldstream Civic Week and representing Coldstream at other Border Festivals. The Association recommends to ‘Presenting Coldstream’ who the next ‘Coldstreamer’ should be. The association carries out a lot of community work and hosts an annual dinner in March each year. Coldstream Twinning Association has existed for over 20 years and is twinned with Bennecourt in the Yvelines District of Il de France, 50 miles west of Paris and on the banks of the River Seine. It’s a beautiful and welcoming area. Exchanges generally take place every 18 months, whether the French are hosted here, or the French host. Coldstream was the founding place of the Coldstream Guards, and is part of an association or branch. The Guards were given the Freedom of Coldstream Burgh and 2018 is the 50th anniversary of the Freedom of the Burgh. Like the Coldstream Guards, the King’s Own Scottish Borderers (KOSB) has the Freedom of the Coldstream Burgh. Macmillan Cancer Support has a Coldstream Committee and it works very hard to raise funds to enable the full range of cancer treatment & care to be provided in the Borders. The Committee can help patients & their families find the services & grants etc that are available. The British Red Cross ‘Refuses to Ignore People in Crisis’ as much in Coldstream as anywhere in the world. Contact can be made to request first aid cover for an event, request the loan of a wheelchair, therapeutic treatment, a ‘Buddy’ or transport to hospital or clinic appointments for a relative or friend. The group meets every Thursday between 2pm-4pm in the Coldstream Bowling Club during autumn, winter and spring (summer break). The club has around 45 members but would welcome more. Sessions include: music, speakers, demos, a mystery trip, spring outing, Christmas party, weekly get-together. St. Mary and All Souls Scottish Episcopal Church is a welcoming church in Berwickshire in the Scottish borders dating from the late nineteenth century. 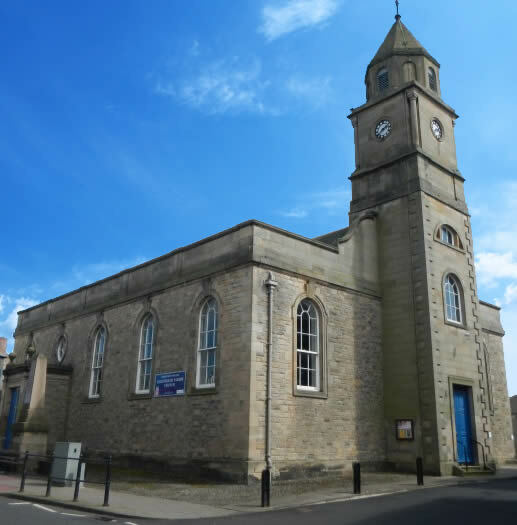 Coldstream’s Heritage Ltd is a Community Interest Company (CIC) (Ltd by Guarantee), set up by Trevor Swan, Will Murray and Gerald Tait to project manage the repair, conservation and interpretation of the medieval Lennel Kirk. The Community Theatre is located in the Coldstream Community Centre and encourages all ages to develop their thespian talents. The Coldstream Community Trust runs the cinema using modern equipment in the Coldstream Community Centre. Notices of future shows are displayed on the external and internal notice boards of the centre and in various other prominent spots in the town. The Legion’s clubrooms are behind the Parish Church and were modernised a year ago. The most regular event hosted in the clubrooms are Saturday morning coffee mornings. The premises can be booked for other events. Coldstream Burns Club has existed since 1888 and welcomes new members. 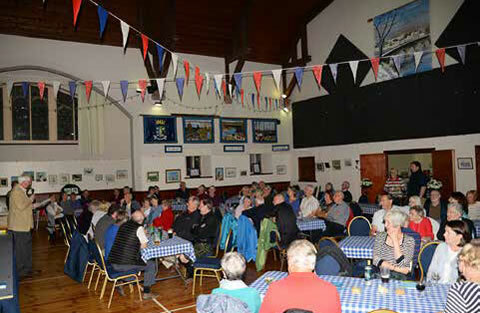 It hosts two Burns Suppers each year: a gents supper on a Saturday evening near the Bard’s birthday of 25th January, then a Mixed Evening usually on the second Saturday of February. The quality of speakers and entertainers is very high. The Club also has a Burns Bridge Ceremony, normally on the second Sunday of May. The Bridge club meets weekly in the Parish Church Hall. 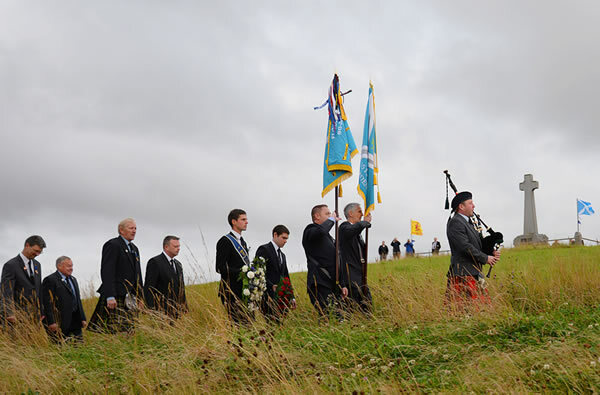 The Flodden 1513 Club annually commemorates the Scots who fell at the Battle of Flodden in 1513. It also supports anything to do with heritage. It runs an annual School Essay Competition and an annual dinner in September. Coldstream has a popular and vibrant local history society and it meets for talks/presentations during autumn, winter and spring on the first Thursday of each month at 7:30pm in the Eildon Centre. Often referred to as the ‘Lit’, the Coldstream Social and Literary Society is a very popular forum for talks and presentations. The events and dates/times are usually highlighted in the ‘Berwickshire News’. The next Flower Show will be held on Saturday 14 September 2019 in the Community Centre. Schedules are published in January and will be available in various venues around the town, on our Facebook page or by phoning Susan on 01890 882562. It’s not just flowers on display but also vegetables, fruit and a strong industrial section of photography, handicrafts, knitting and floral art. The Rambler’s Association organises walks which are regularly advertised in the ‘Berwickshire News’. This is a Scottish Borders Council initiative but organised in Coldstream by Guy Richardson . Gentle-paced walks are organised every Thursday at 10am, leaving from the community centre. On return, light refreshments are available. This is a group of ladies that meet in the community centre at 1pm on a Friday to knit, sew and knitter and new members would be welcomed. The club meets in the Castle Hotel once a year to judge and weigh entries.